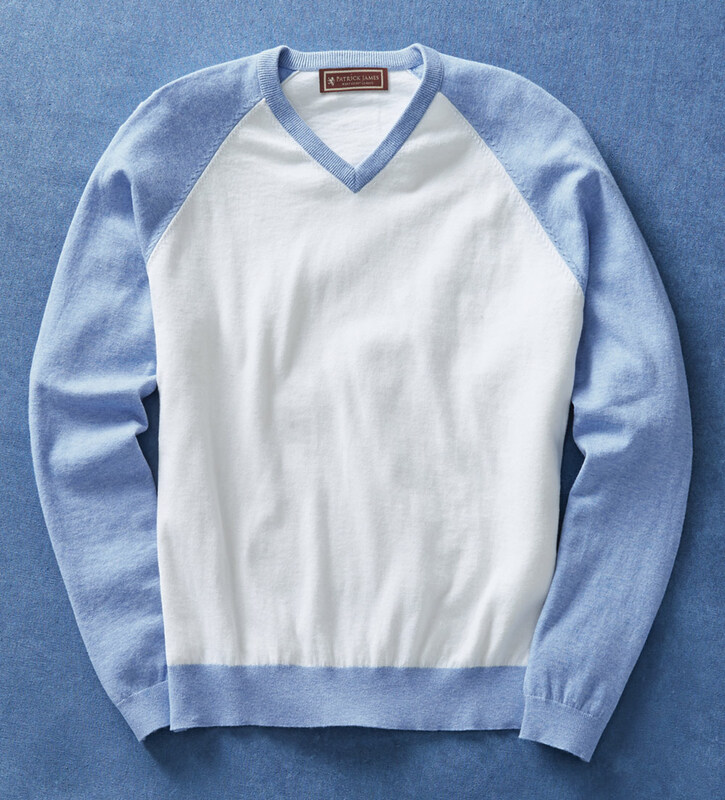 Striking, color-block styling in a lightweight cotton blend touched with cashmere for superior softness. Long sleeves, V-neck, ribbed cuffs and waist. 95% cotton/5% cashmere. Hand wash or dry clean. Imported.